Time is just zooming by. I’m trying to get some yarn and rovings not only dyed ahead of baby-boos ( yes, we still don’t have a name yet) arrival, but pictures taken, and enough inventory put aside that I can continue to keep not only my Etsy store stocked but my two local yarn stores as well. I thought I had everything pretty much under control (this of course is the illusion that I have continued to bumble through life with). 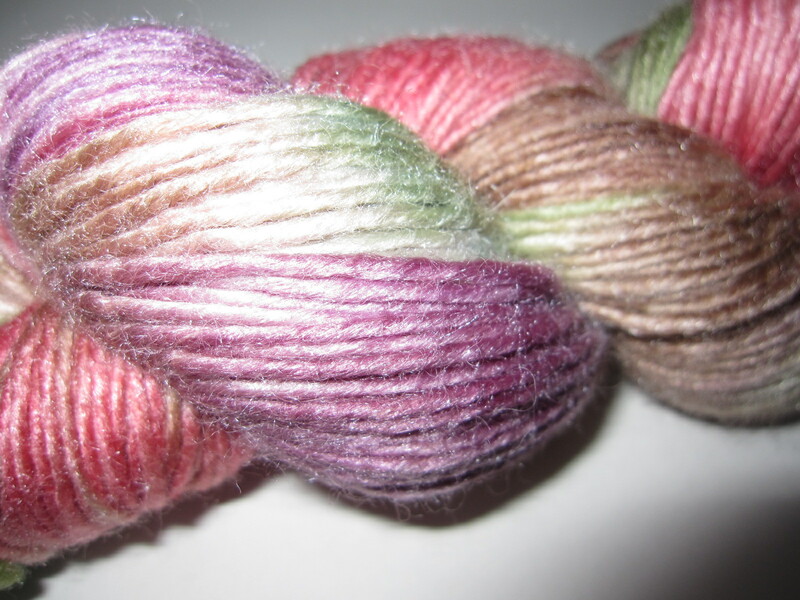 So I spent Sunday hand painting a new type of yarn. I have to say I’m totally in love with it. 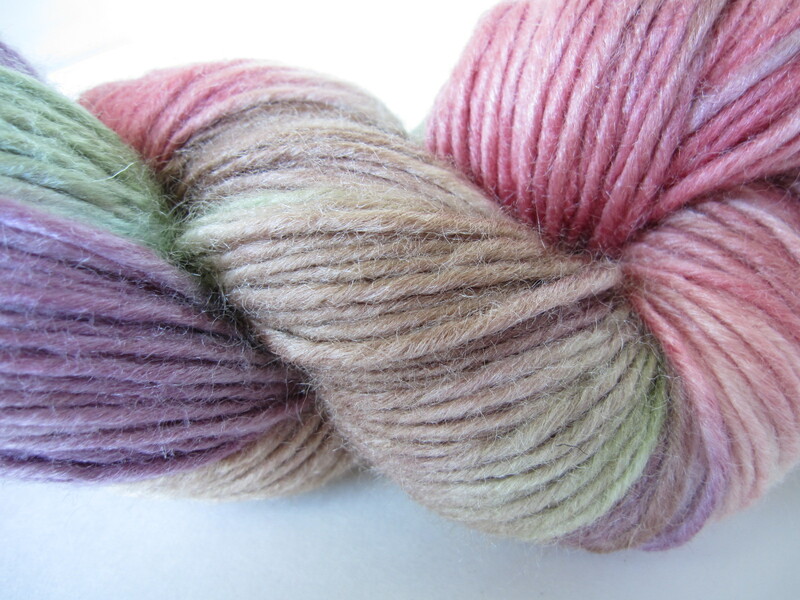 It’s a superwash ultafine merino/ silk blend. It’s wonderfully soft and luminescent. Pure luxury without having to hand wash it. Does life get any better?? It’s so wonderful I very seriously contemplated dying up the whole shebang for myself. The only thing that stopped me is I just don’t have time to knit it up now and my inventory is seriously low. Sales in the summer months are usually slower but for some reason June has been particularly busy. Not that I’m complaining mind you. 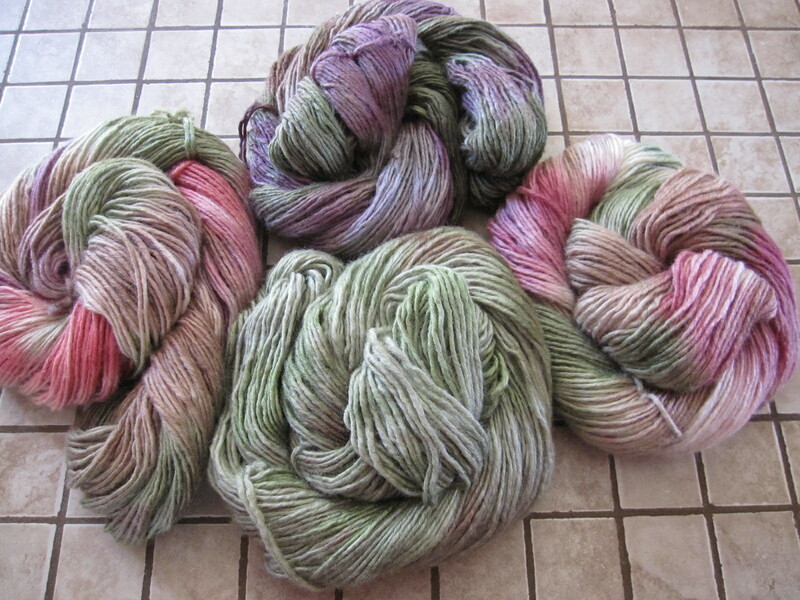 It has been a real adjustment going from two full time incomes to just Craigs and my fiber/yarn sales. Failing that, can I pretty please just touch it and see it in real life???? 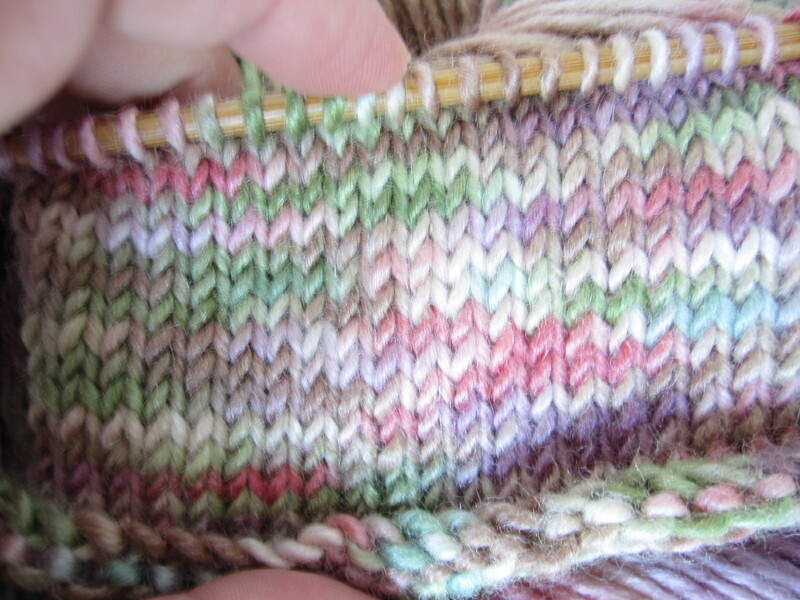 I believe my speedy knitter of a daughter is still working on the last skein she was supposed to test knit. Or am I mistaken?? I still love you though. I’ll be getting more so if I was to bestow a wee gift what color/colors would be most preferable? I really NEED some of that stuff Kristi!! I was really tempted to keep some of it for myself. 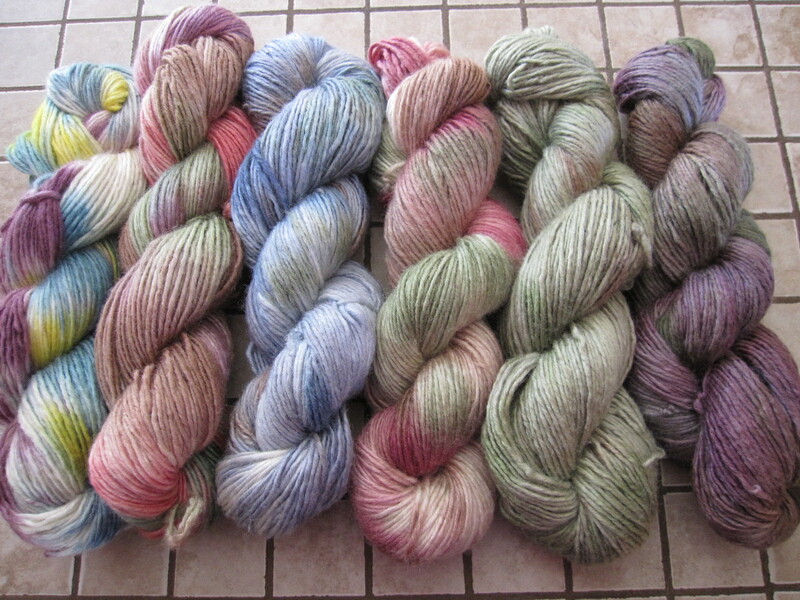 i have some more coming in and will send some down to Wisconsin Wool Exchange after I get it dyed up.